I quote that line a lot, but it’s not hard to imagine Charlotte Bronte saying the same thing about herself. 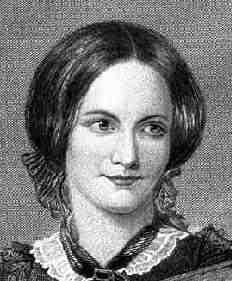 She was never considered very attractive, and until Jane Eyre was published and became a huge success, her life didn’t account for much in the world. Words like, harsh and cruel, might be used to describe her life, with complete happiness arriving almost too late for her to truly enjoy it. Would we have had her great novels had her genius not been finely tuned by her grief and despair, if her life had been common and usual? Thankfully, the Bronte’s were far from usual in that sense. Their sorrow was our gain. What sees keenly, speaks softly, moves flexibly, it suits her to study, but what throbs fast and full, though hidden, what the blood rushes through…this Miss Austen ignores…if this is heresy – I can’t help it. But a diary, that would be something. James does a good job of including the known facts of the Bronte’s life. She leaves none of the dreaded details out here, and we all know how sad those details were, but at the same time she speculates that there was happiness in that household, as there only could have been between three kindred sisters who loved their wayward brother and their partially blind father. My only complaints about this book would be that she borrowed lines from the Bronte’s novels, probably using them to mimic styles and patterns of speech familiar with Charlotte and her sisters. (For me, this is a common issue I have with books of this type. It feels like cheating.) Also, the whole Pride and Prejudice feel of the storyline. 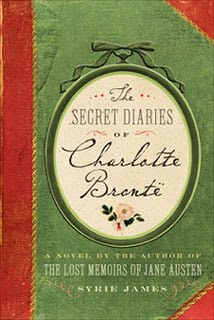 In the end, knowing her particular thoughts on Austen, I wondered if Charlotte Bronte was rolling over in her grave. 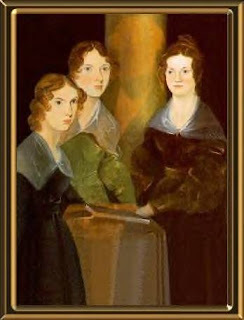 But that aside, my favorite part by far was the inclusion in the Appendix of some of Charlotte’s correspondence, a real treat to read, and some selected poetry by the Bronte sisters. Emily’s especially, were brilliant, passionate, and fascinating. How could anyone doubt she ever wrote one of my all time favorite novels, Wuthering Heights. To brightens more and more! Reading those words alone made this book worth the reading. I can't bring myself to read these sorts of books. We've had a couple like this in our Jane Austen book club, too, but I can't get into them. Part of it just feels wrong, I guess. It feels fake (obviously, since it is). I don't know. I can't really explain it. Like I said in the review, it does feel like they're cheating, and fake even, when they rehash these famous works, so to me that reaction is completely understandable. Some do it more than others. One I'm reading now, she does it all the time, having her main characters requote from Pride and Prejudice. It's really starting to get on my nerves. If I'd wanted to read those exact words again, I would've read that book! Mainly what redeemed this one for me was the stuff she included in the end. I loved reading Charlotte's letters. She had a biting sarcastic wit and a way with words that I just loved. her poetry has rhyme and meter. which is better than most "modern" verse. Wow, Mr. Barca, don't hold back, or anything... ;). Doesn't sound geeky at all. Let us all embrace our inner nerdiness. Not enough people know about their poetry. Jason - I have to say that I hope you keep dreaming because I like your idea, 'geeky' or not, because it would be so interesting to read and very informative. I mean, wouldn't it be something to read a collection of Bronte literary material like that. :) Awesome!